I am beyond excited to share that I will be heading to Bhutan. Ever since I travelled through Tibet overland from Lhasa to Kathmandu in August 2010 I wanted to see more of the Himalayan countries. I was fascinated, overwhelmed and blown away by the stunning temples and monasteries, by the breathtaking landscape, by the Buddhist culture and religion, by the amazing people and their way of life. It was truly a trip of a lifetime and one of the best trips I have ever taken. In November 2011 I headed to Northern India and besides Delhi, Amritsar, Varanasi and Agra I visited Dharamsala/McLeod Ganj, Shimla, Rishikesh and Haridwar which are located in the Indian Himalayas. But I wanted see more. I was thinking of Ladakh, Darjeeling and Sikkim. Then I stumbled upon Bhutan, a small kingdom in the Himalayas. 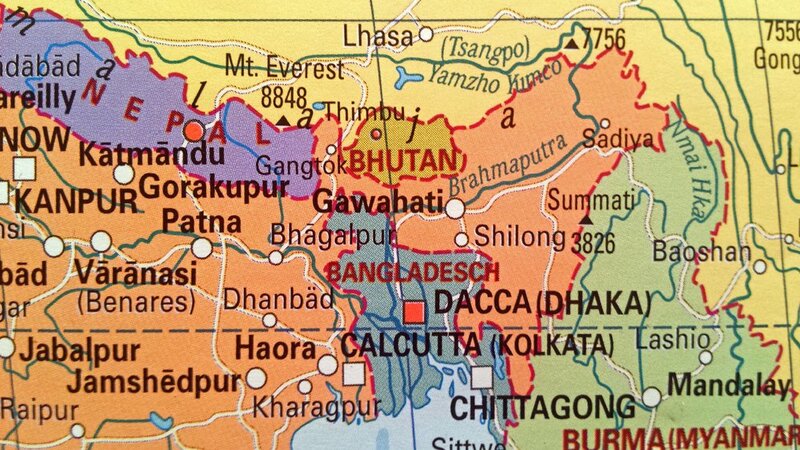 The country borders with Tibet to the north and with the Indian states Sikkim to the west, Assam to the south and Arunachal Pradesh to the east. Although the country is not as hard to reach anymore as it was until the 1960s it is still quite remote. Druk Air and Bhutan Airlines are the only two airlines which fly from Kathmandu, Bangkok, Kolkata, New Delhi, Dhaka, Guhawati and Bagdogra to Bhutan’s only international airport in Paro. The other option to enter Bhutan is from India by land into Puentsholing, Samdrup Jongkhar and Gelephu, all in southern Bhutan. Bhutan is a deeply Bhuddist land and the philosophy of Gross National Happiness is a lot more important than the gross national product. By today Bhutan is still not a main tourist destination and the Bhutanese government does a lot in order to maintain this condition. Sustainable tourism is very important in Bhutan. There is no limit to tourist visas but all visitors have to pay a minimum daily rate of 250 US-Dollars in the high season and 200 US-Dollars in the low season. 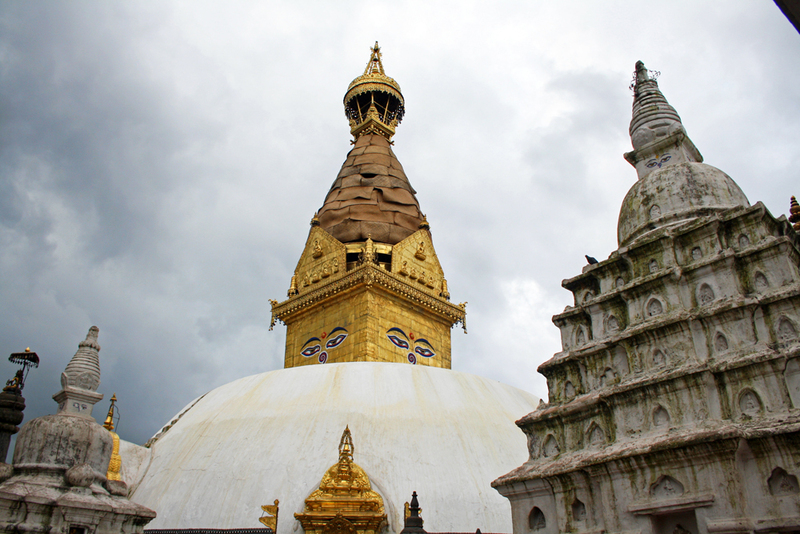 This fee includes a licensed Bhutanese guide, accommodation, food and transportation. Individual travelling without a guide is not possible in Bhutan. Visitors either have to travel on a group tour or with their own Bhutanese guide who has to be booked through a Bhutanese tourist agency. This is Bhutan’s way to keep the tourist numbers manageable. However, these rules do not apply for citizens from India, Bangladesh and the Maldives nor for foreign residents. I have been to a lot of places since 2011, to China, Vietnam, Jordan and Uzbekistan to just name a few. But Bhutan never disappeared from my travel wishlist. Now I am excited to travel there. 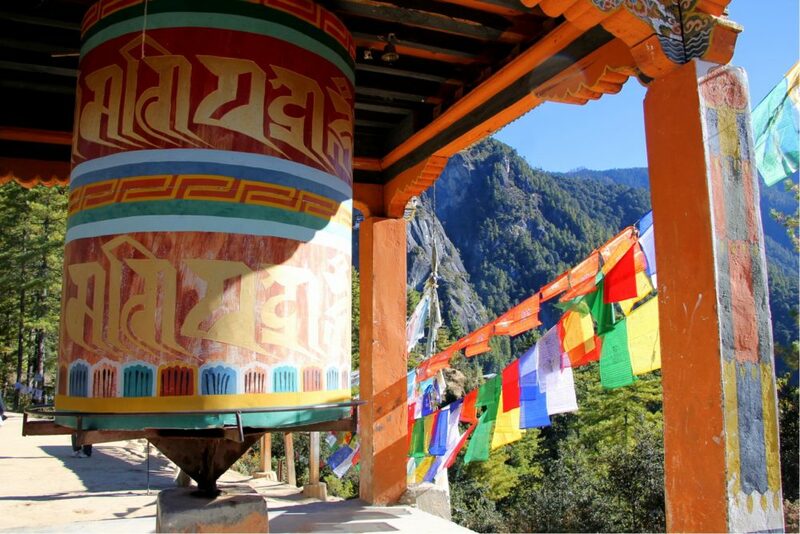 I can’t wait to see the many stunning temples and monasteries, marvel the breathtaking landscape in the Himalayas, mingle with the locals and learn everything about Gross National Happiness. I am also very much looking forward to try the Bhutanese food where chillies are the main ingredient. For a spicy food lover like me this sounds like a foodie’s paradise. 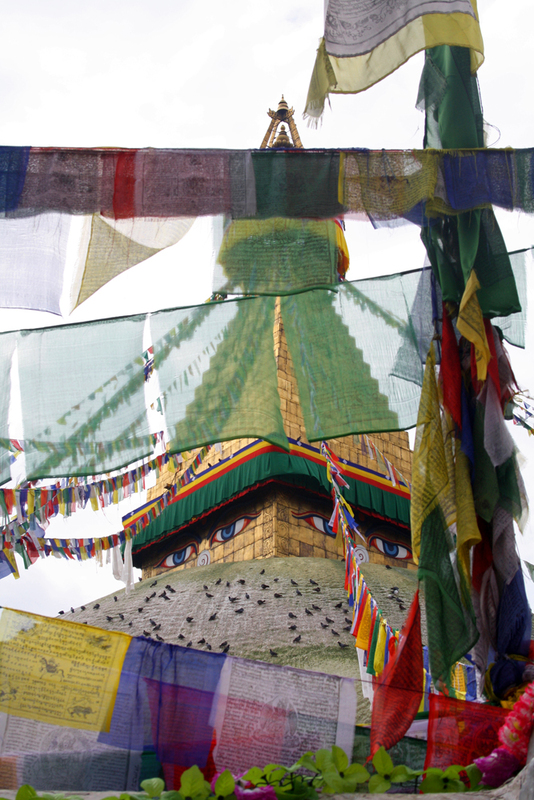 Check out Emma’s blog, her blog posts about Bhutan and follow her on Instagram. Check out Jessie’s blog, her blog posts about Bhutan and follow her on Facebook, Twitter, Instagram, Pinterest and Google+. 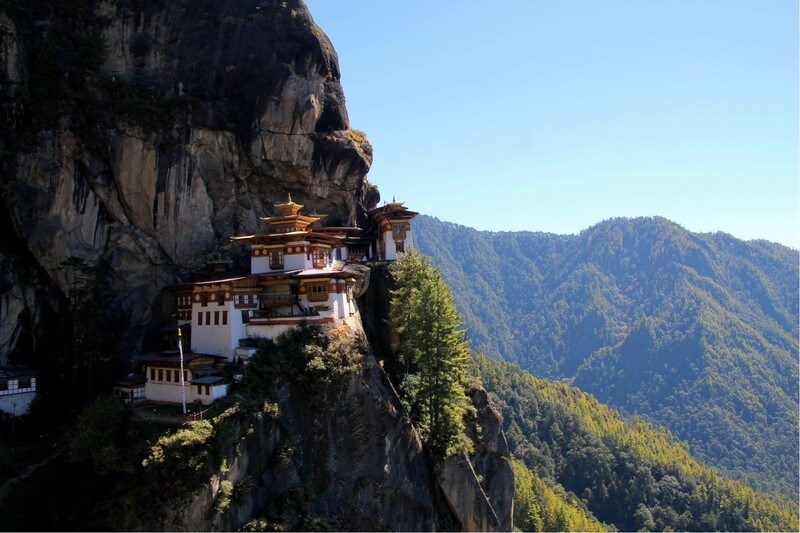 “We had been dreaming of hiking up to Tiger’s Nest in Paro, Bhutan for years until we finally booked a trip to the Land of the Tiger Dragon in order to experience the trek up to the mythical cliffside monastery! But Tiger’s Nest is not the only “wonder” in in the Kingdom. If we had to use one word to describe Bhutan, it would certainly be unique, immediately confirmed upon our arrival, by the cute, little (and only) international airport in Paro in which our plane was the only one scheduled for landing that evening. We were immediately welcomed by our local guide for the next 12 days – independent travel is not possible in Bhutan (unless you are from India, Bangladesh or the Maldives). 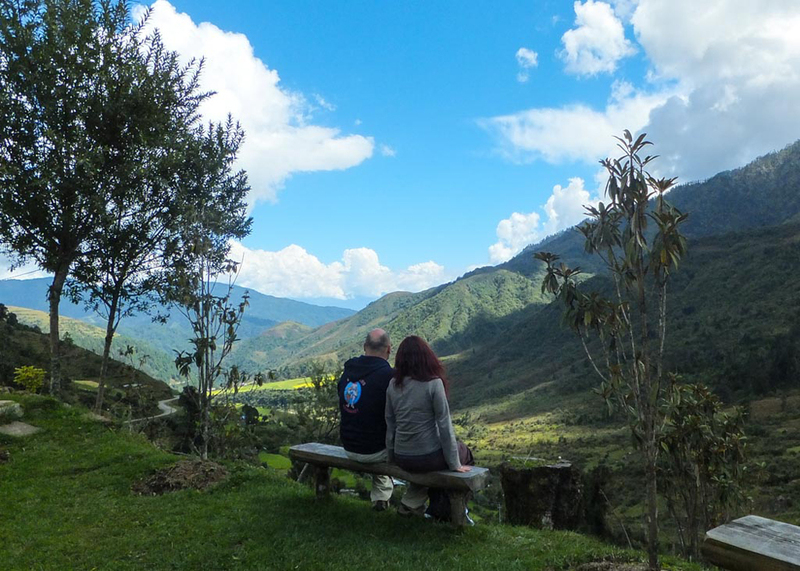 We totally recommend including a homestay in your Bhutan itinerary. We were hosted in a farm in the Paro Valley, and it was certainly one of the highlights of our trip, not only because we got to experience a traditional hot stone bath, but also because our gentle hosts did their best to make us feel comfortable whilst explaining all they could about living in Bhutan. Their sincerity and love for their simple way of life had us wondering whether everyone else had life figured out all wrong! Check out Michelle and Nikki’s blog, their blog posts about Bhutan and follow them on Facebook, Twitter, Instagram and Pinterest. And it won’t take long until I will be heading to Bhutan myself. Today I will take the train from Cologne to Frankfurt from where I will be flying via Muscat to Kathmandu. 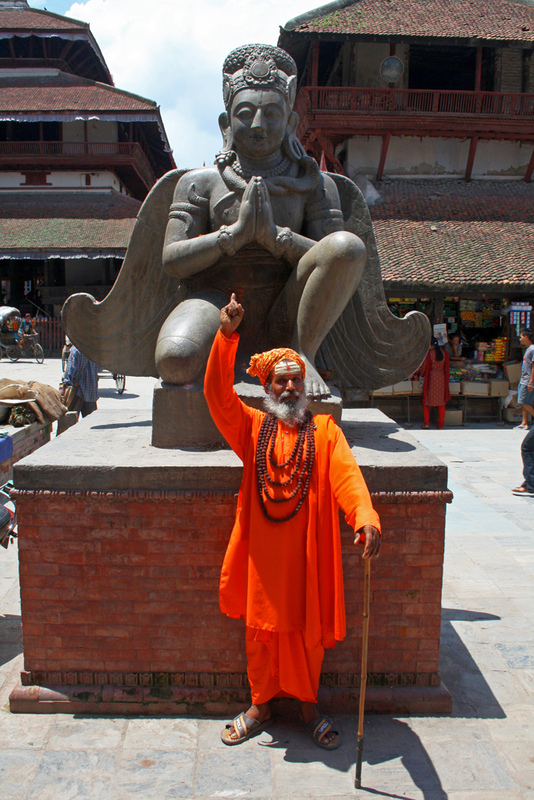 I am looking forward to return to Nepal’s capital where I spent five and a half amazing days in August 2010. This time I will spent two and half days there before flying to Bhutan. It is truly heartbreaking to remember what the Nepalese people had to go through during and after the desastrous earthquake on the 25th April 2015. It will be really tough to see the destroyed cultural treasures but nevertheless I want to go back and support local responsible tourism and local restaurants. 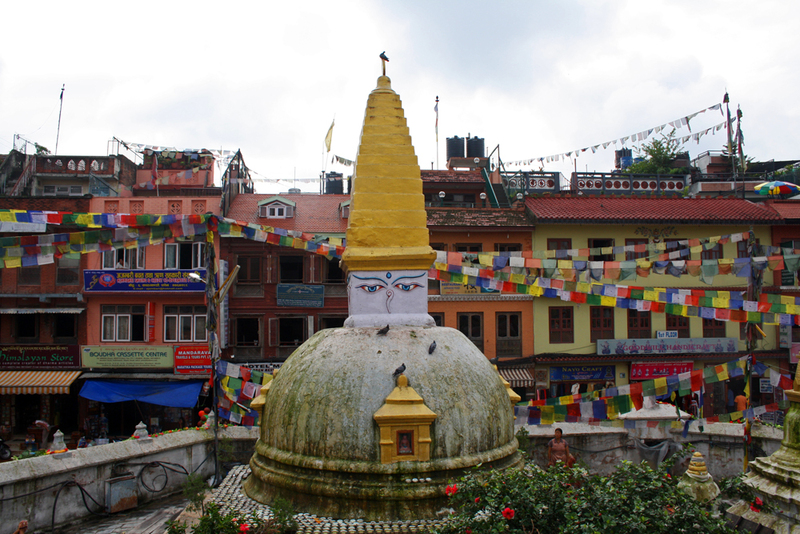 I want to return to the Durbar Square in Kathmandu, to the Bodnath Stupa and to the Swayambhunath temple. 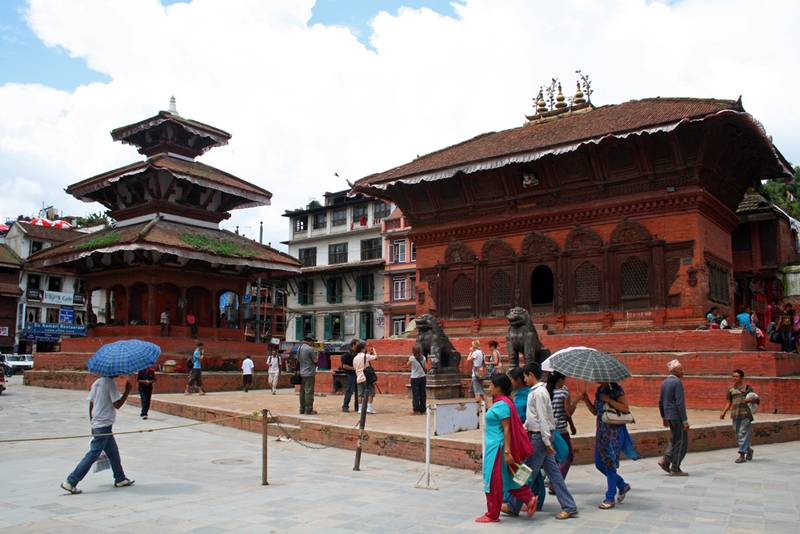 I also plan to visit Bhaktapur and Patan. On Monday, the 13th March I will be flying to Paro with Druk Air. In Bhutan I will join a tour. I will meet my Bhutanese guide at Paro International Airport and 13 travel mates from different countries later in the hotel. We will explore Paro together before hiking up to the Tiger’s Nest aka Taktsang monastery the following day. On the same day we will also discover the Kyichu Lhakang Temple, one of the oldest temples in Bhutan. The next day we will hike up to Bumdrak Camp which is located at a height of 3.860 metres. There we will overnight in the camp. The following day we will descend to a village from where we will take a private vehicle to Thimphu, the capital of Bhutan. There we will visit the National Memorial Chorten, the Buddha Point, the Motithang Takin Preserve and the Tashichho Dzong. 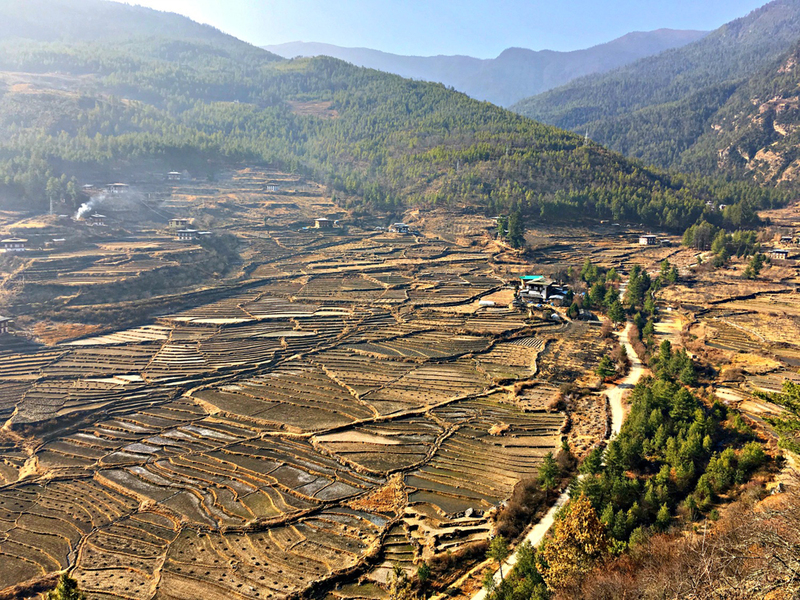 From Thimpu we will drive to Gangtey for a homestay at a traditional Bhutanese farmhouse. 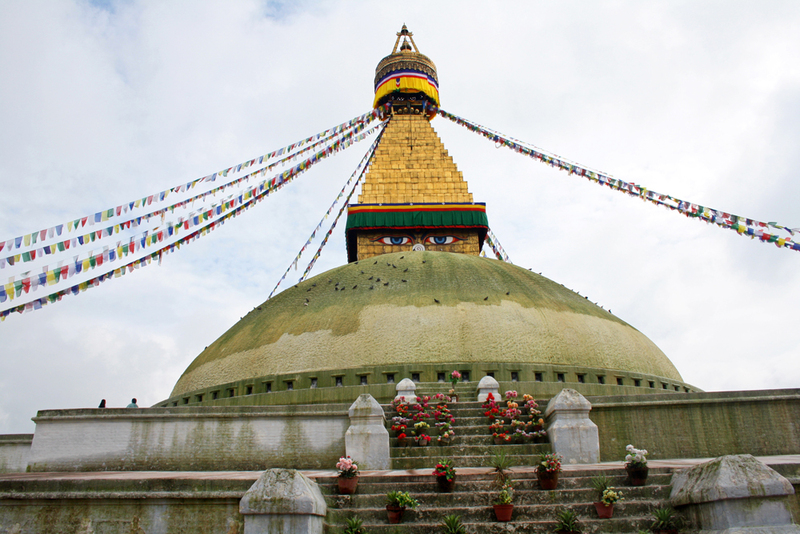 In Gangtey we will also visit the Gangtey Gompa and maybe the Black-Necked Crane Centre and a nearby school. After Gangtey we will head to Punākha, the ancient capital of Bhutan. 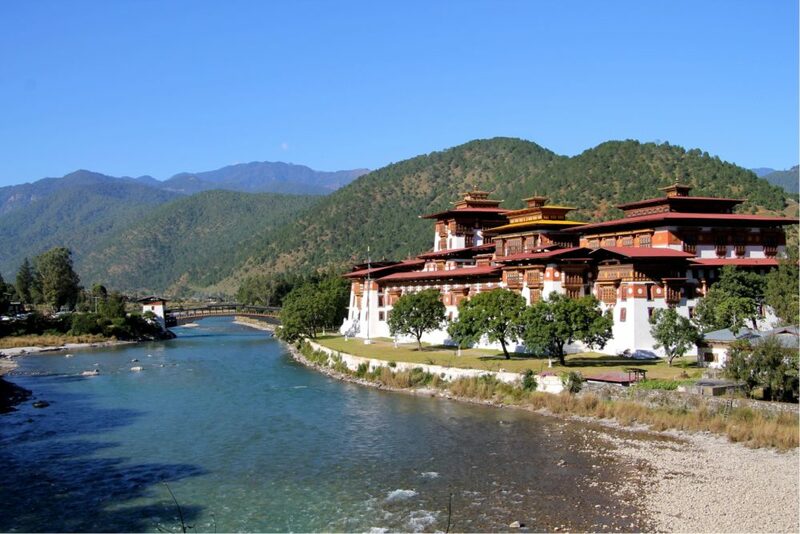 There we will explore the Punākha Dzong and the Chime Lhakhang Temple. 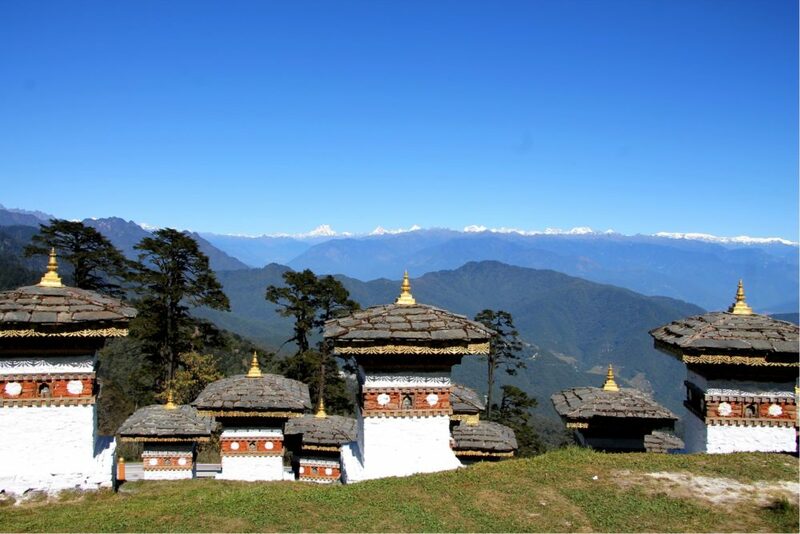 Our next stop will be the Haa Valley where we will discover the White Temple aka Lhakhang Karpo. 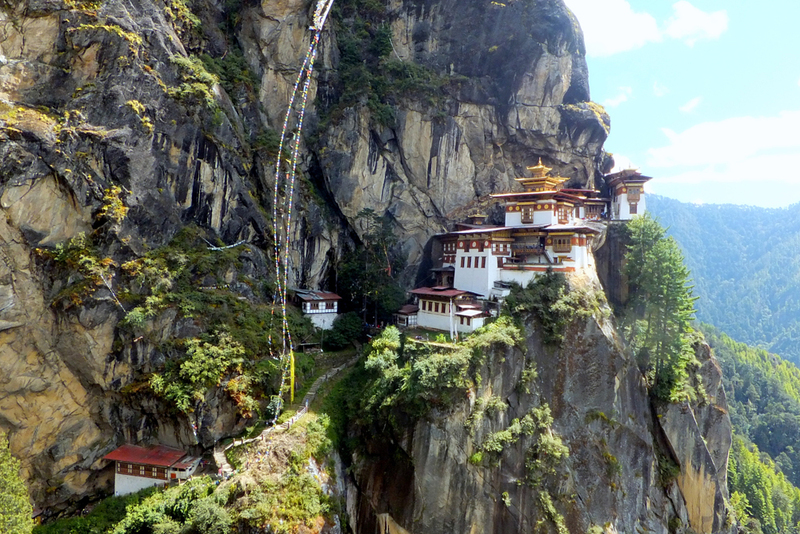 We will also visit the Kila Gompa, a nunnery where 60 nuns live and which is located on a cliff. From the Haa Valley we will drive back to Paro. On Wednesday, the 22nd March I will take the morning flight back to Kathmandu where I will have another four days by myself before flying back home on the 26th March. If you would like to follow my journey through Kathmandu and Bhutan or my travels in general subscribe via email and don’t miss to follow me on Facebook, Twitter, Instagram or Google+. 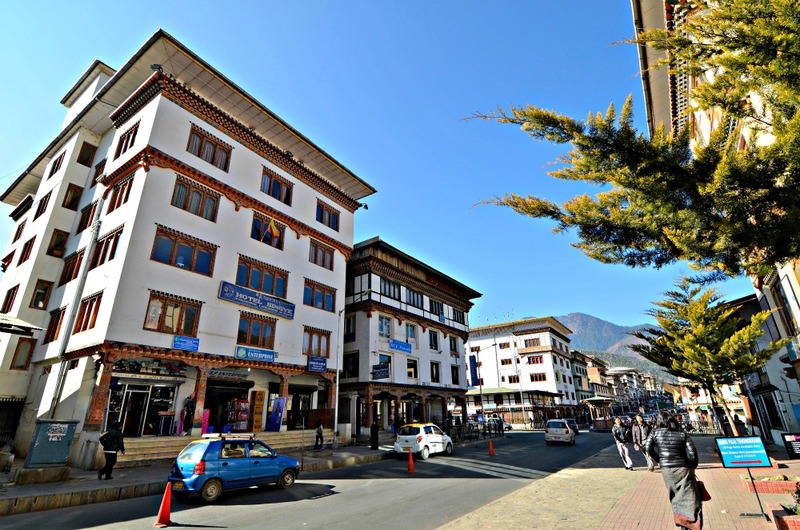 I will be travelling through Bhutan with G Adventures* and I received a discount for this trip. *This link is an affiliate link. That means that I would earn a small commission if you book a tour through the given link, of course at no extra cost for you. But this helps me cover the costs of running this site – so thanks a lot in advance. When you are a returning traveller of G Adventures you even get your five percent discount in case you filled out the evaluation form within a month after your previous tour. After booking just send them an email or give them a call and claim your discount if it doesn’t appear on your bill automatically. Das klingt alles spannend und da sind ja tolle Tipps dabei. Ich bin gespannt, was Du berichten wirst, wenn Du wieder zurück in Köln bist. Vielen lieben Dank für Deine netten Worte, Bengt. Ich bin auch schon sehr gespannt auf Bhutan, auf das Land, die Landschaft, die Klöster und Tempel, die Menschen und das Essen. Ich werde auf jeden Fall hinterher hier darüber berichten. Thanks for including me in the post. It was great to read some other bloggers thoughts as well and your upcoming itinerary and I hope you have a wonderful trip! Hi Emma, thank you so much for your contribution, for your tips, for your photos and for the good wishes. Your contribution is absolutely amazing and makes me look forward to Bhutan even more. I will definitely write about it once I am back home. I’m really looking forward to reading all about your trip to Nepal and Bhutan. I first went to Northern India in October / November 2005! I didn’t enjoy Delhi although I liked the landmarks and monuments and I’ve been to Amritsar, Varanasi, Agra, and other important points, as my travel was a month in Rajasthan! Even though you’ll be visiting Bhutan, I look forward to your visits to Dharamsala/McLeod Ganj, Shimla, Rishikesh, Haridwar, Ladakh, Darjeeling and Sikkim because I would like to visit these areas but unfortunately, they are not optimal for the time that I would like to go – July / August. Sigh! 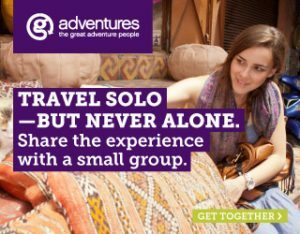 I’m also interested to read about your experience with G Adventures. Thanks for sharing.